The computer requirements for editing video are significantly greater than those needed for editing photographic images. The ability to handle multiple streams of high definition video playback while also keeping audio in sync will require the average photographer to upgrade their computer. On this page, we look at the components and how to set up a reliable and cost-effective nonlinear video editing system. Originally, video shots were sequenced one shot after each other in a linear fashion during the editing stage. From a creative standpoint, this had many limitations as it limited experimentation as a project was assembled, making changes difficult and costly. 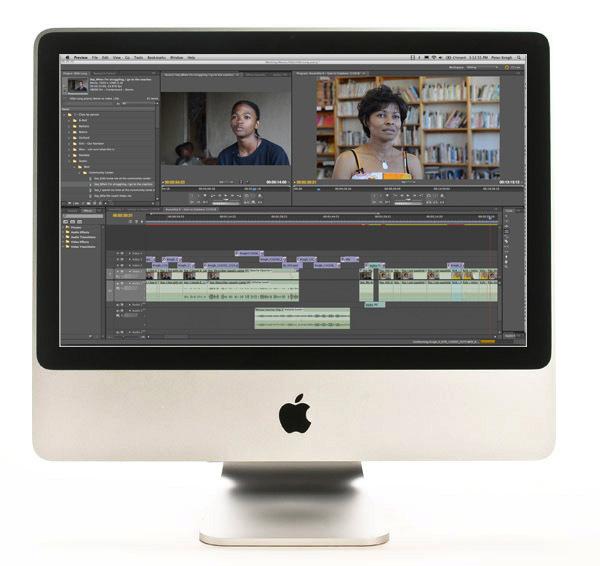 The use of a computer and video editing software has significantly changed the way in which video is edited. For the creative professional with the right tools, a lot more editing options are now possible from audio mixing, to color grading, to seamless effects. The next few pages will provide an overview of the various types of video editing computers. We’ll also look at how computer components work together in video processing. Finally, we’ll examine how to set up your workstation for efficient workflow and prevention of accidental erasure or corruption. Desktop workstations are still the best computer choice in a production environment. They are the most powerful, modular, expandable and upgradeable processing machines available. There are very few things harder for a computer to do than video. Although laptop computers are getting much faster, and can be attached to external drives and high quality monitors, they still do not have as much power or expansion capability. If performance and total time spent matters, use a desktop. Figure 1 The most capable video editing computer system is a tower system, which allows for the most flexible expansion. Tower: The traditional configuration for a desktop computer is a tower with a separate monitor, as shown in Figure 1. These machines offer greater flexibility in upgrading individual components. They also let you choose a monitor based on your specific needs. One of the most important capabilities tower systems offers is the ability to add expansion cards, as shown in Figure 2. Many video editors choose to install special video cards to expand their ability to use dedicated video monitors or specialized functions like tape output. 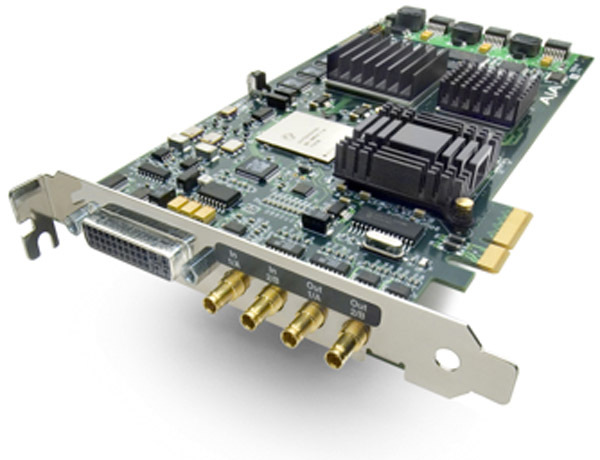 Figure 2 PCI Expansion cards allow a tower system to be configured for the specialized capabilities of video editing. Image courtesy AJA Video Systems. All-In-One: The primary benefit of all-in-one models is that they save some space. They are also generally less expensive since they appeal to a wider range of users (especially consumers). Common models include the iMac from Apple or the Dell Studio One series, as shown in Figure 3. They may not be as as powerful, expandable or upgradable as tower workstations, nor are they as portable as laptops. Still they are a popular choice and many are quite capable of video editing tasks. Figure 3 All-in-one computers provide good value but won’t be as fast as a tower system. Laptop computers are increasingly powerful and modular and have the advantage of being portable. When choosing a laptop, you pay a premium for portability, and compromises are made with factors like processor speed, memory, and the graphics processing unit. The four most important factors to look at when choosing a laptop are processor speed, total memory (RAM) capacity, the graphics processing unit (GPU), and external data connection options. Video places a heavy load on the computer system and these four components work in tandem with modern video editing software. Many laptops can also be connected to high-quality monitors and high-performance external hard drives. When these steps are taken, a laptop can come very close to the performance of a desktop machine. In order to truly judge color fidelity when working with video, and external video display should be attached. This may require the use of special cabling to convert to an HDMI connection (or better yet an HD SDI professional video monitor). With most laptops, you’re stuck with the video card that it comes with. If you’re looking for a video editing laptop, this is a very important part of the specification. Different software manufacturers support different acceleration methods. For example, Apple uses Open CL for its Final Cut Pro X application while Adobe uses NVIDIA’s CUDA technology for Adobe Premiere Pro. It’s always a good idea to check the recommended system settings for your editing tool before buying new computer hardware. The use of a Solid State Drive can speed up video editing tasks by improving the performance and access of video files. Many choose to use the SSD to hold only their working video files and leave the other drive to hold system applications. If budget permits, the best combination for video is to have two computers. The laptop can become an essential tool for location work. You can choose to use it as a calibration and testing tool as you acquire video. You can also begin the process of organizing footage and doing essential editing while in the field. Many use this on-set editing to review lighting and exposure accurately while also comparing visual continuity between angles and setups. Once back at the office, a more robust desktop can be used for other postproduction tasks. Working with color and exposure as well as audio mixing is much easier (and faster) on a properly-setup desktop. If forced to have only one computer, we recommend that a desktop is better value. The systems are easier to upgrade for performance and will have a longer useful life than a laptop. Video editing tasks place an incredible burden on a computer. Workstation performance depends on several factors, including the operating system (32- or 64-bit), the CPU (central processing unit), the GPU, the amount of RAM, and the hard drive configuration. In an ideal video editing system, a computer monitor is used to navigate and run the software, while a dedicated video monitor is used to judge the visual quality of the video image. These days, LCD monitors are the de-facto standard when working on a computer. Because video software has so many windows to navigate, you'll want to choose a monitor that is large enough to encompass a large part of your viewing area. For many, a monitor in the 22-24 inch range is a good option, but many choose larger if clients will also be observing the editing process. Physical size of the computer monitor is only one part of the equation. The higher the resolution, the more actual on-screen area you’ll need to work with multiple windows and interface elements. Be sure that your computer’s GPU can support the targeted monitor resolution. If you desire more on-screen real estate consider connecting two displays to your computer (which may require a second or upgraded GPU). When it comes to seeing video accurately, the investment in a professional video monitor is essential. This additional monitor will show the video as you edit it. You will continue to use the computer monitors to show the user interface of your editing software. Experienced photographers will know that their prints look different from the image shown on a computer monitor. The same holds true when comparing video monitors to computer displays. It’s accurate: Color and contrast meet professional standards like ITU-R Recommendation BT.709, more commonly known as Rec 709, which governs HD video. Just as you would choose a computer monitor that could be calibrated to a photographic color space, a video monitor must match the standard used in the video industry. It’s adjustable: A professional video monitor must allow for small adjustments to brightness, contrast, chroma and geometry (including aspect ratio). The monitor should be able to reproduce up to 1920 x 1080 and do so at various frame rates. All of the major video manufacturers such as Sony, Panasonic and JVC have solutions, but there are also many small companies making truly amazing video monitors these days. Check out companies like Flanders Scientific Inc., Frontniche, and TVLogic. In order to connect a professional video monitor, you may need a special card or input/output device that sends out a true video signal from your computer as well as offers video-style inputs. Read more about Video Monitor characteristics in Monitor Calibration and Profiling Read more in the section: Video I/O Card/Device. When it comes to creating video, your audio track is just as important as your video one. As such, “normal computer speakers” just won’t cut it. Without great audio, a project can fail. Figure 4 shows an example of a good quality audio monitoring system. Figure 4 In order to really hear what’s in your audio tracks, you’ll need a good audio monitor. Photo by AnikaSalsera. 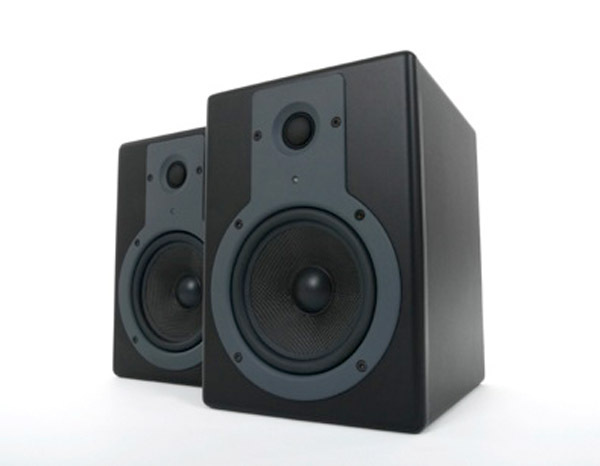 Most audio monitors these days are powered, meaning that the amplifier is built into the speaker. In fact, on better speakers there are often dual amplifiers – one for the woofer (the low frequencies) and one for the tweeter (the high frequencies). This makes for a nice compact package without the need for additional equipment. Depending on how your computer is set up, you may use a small stereo input, digital inputs (optical audio S/PDIF) or USB. Your professional video monitor may also offer built-in speakers or the ability to connect external speakers. If you use HDMI or HD SDI, both connection types can carry audio from your computer to the speakers. The primary data storage on any computer is provided by the hard drive(s). While the system (or boot drive) can be used for the operating system and software applications, it is less than desirable for video editing due to the performance issues of reading and writing a large amount of data simultaneously. You will need to add either multiple internal hard drives or more likely an external array of multiple disks. These faster drives are a requirement when you are working with multiple streams of high definition video. The faster speeds are necessary to keep the audio and video streams in sync as they playback in the editing software. We suggest using hard drives as your primary storage media, but best practices in data storage require the use of some other kind of backup media as well. Hard drives are subject to a number of hazards that don’t affect other media, particularly write-once media. These hazards include viruses, hacker destruction, voltage surges and accidental damage or deletion. Optical media can provide a cost-effective backup solution that protects your image collection against these hazards. 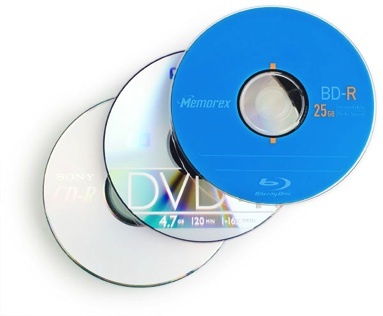 As video files are comparatively much larger than photographs, the use of Blu-ray discs is a more viable option compared to traditional DVD-ROM media. Figure 5 Optical media can provide a cost-effective backup solution. The fail-safe backup of choice for many working with video is digital tape, in one of its many forms. Digital tape is expensive to set up, but the cost of adding more storage once it's been implemented is small. The best digital tape to use is LTO5, but the older LTO4 is a viable option as well. Since video files are significantly larger than photographs, the use of digital tape is often the best option for long-term backup.